U.S. Forces Japan ordered an alcohol ban for troops based in Japan, and restricted Okinawa-based service members to their base and residences Sunday, after a fatal vehicle crash involving a U.S. Marine that killed an Okinawan man. The 61-year-old victim was making a turn when his vehicle was struck by the Marine’s truck coming from the opposite direction early Sunday, the Associated Press reported. Witnesses said the Japanese driver had the right of way, and that the Marine may have gone through a red light, according to local media reports cited by the AP. 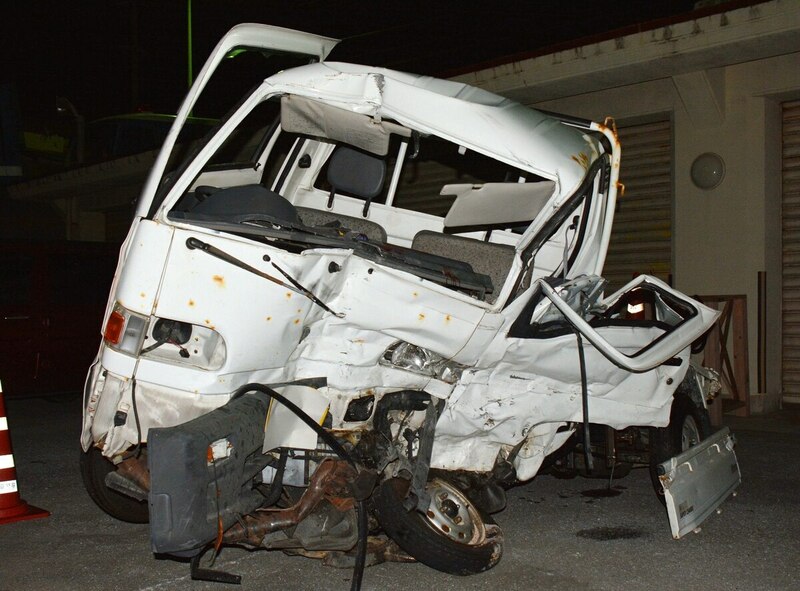 The Marine was slightly injured in the 5:30 a.m. crash in Okinawa’s main city of Naha. Police said a breath test indicated the Marine’s alcohol level was three times the legal limit, according to the AP. A U.S. Forces Japan statement said alcohol may have been a factor in the crash. The names of the victim and the involved Marine have not been released. Police on the southern Japanese island of Okinawa are investigating a fatal traffic accident that occurred Sunday when a truck driven by a U.S. Marine collided with a small truck at an intersection, killing the Japanese driver of the other vehicle. U.S. Forces Japan ordered Okinawa-based troops restricted to their base and residences, and banned alcohol consumption in residences and public locales. Troops based in mainland Japan were also prohibited from buying or drinking alcohol on or off base, a release states. Mandatory training for all troops and government civilians will be held across Japan to address responsible alcohol use, according to the command. There are about 44,000 U.S. troops stationed in Japan, with more than 25,000 troops stationed in Okinawa.